Good professors are always thinking about new ways to increase student interest and critical thinking in the courses they teach. 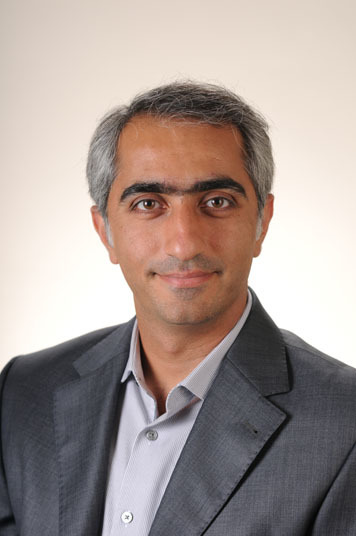 ISyE Assistant Professor Kamran Paynabar is no exception. As an instructor of ISYE 2028, Basic Statistical Methods (BSM), which is a core course required for all ISyE undergraduates, Paynabar was looking for creative ways to help his students learn and apply the statistical theories introduced in the class. When he first taught the class, he brought in a few group activities and games — for example, using Vernier calipers to measure bolts of different lengths, and then applying data analysis techniques to evaluate the measurement process. In the flipped classroom, the students watched an instructional video created by Paynabar prior to class. When the class met, the students applied what they learned from the video by working in pairs to complete hands-on learning activities such as group quizzes and games. These interactive activities represented real-world problems that could be solved via the statistical theories and methods the students learned on their own time. For his flipped class, Paynabar created engaging in-class activities, one of which included a comparison study of National Basketball Association stars Kobe Bryant and LeBron James. After compiling several years of performance data for the two professional basketball players, the students completed the comparison using hypothesis testing, focusing on three-point shots to determine which player had the best performance. For another activity, the students used the statistics for the Atlanta Braves baseball team to determine whether there was a difference in the team’s scores for home versus away games. Although flipped classroom instruction requires more effort and time on both the part of the instructor and the students, Paynabar said that the experience was worth it. When he surveyed the students at the end of the semester, 71 percent of the class said they preferred the flipped style over the traditional style of instruction. In addition, when Paynabar compared the results of the first exam of the flipped classroom versus the traditional, on average flipped classroom scores were 10 points higher. “So that shows the effectiveness of the flipped classroom,” he said. Paynabar plans to continue flipping classrooms in future courses he teaches, including Basic Statistical Methods in the spring 2018 semester.